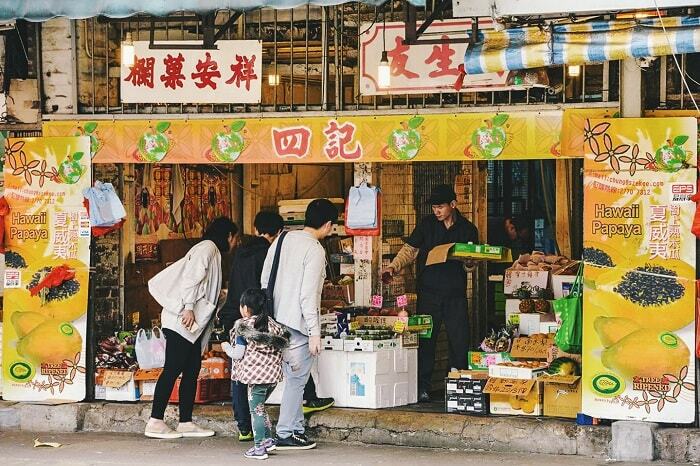 Living in a city is expensive, and Hong Kong is no exception. Though it may take a little more planning and self-control, saving can be quite simple. By making small, every day changes in the way you spend, you can make a huge difference to your bank balance! – Start by working out where the bulk of your spending is going. Make a simple spreadsheet or keep a notepad with you to make a note of any expenses, or try a handy app to track any expenditure. Factor in everything from your Netflix subscription, to your morning coffee, so you’ll be able to see which areas you may be able to save on. – Which leads us to… budgeting. Make a budget and stick to it. Easier said than done, we know, but by devising a simple weekly or monthly budget plan, you can decide how much you expect to spend on certain things and actually stick to it. – Set up a standing order or direct debit. Set up a separate savings account and decide how much you can realistically put aside every month, with a monthly standing order. Not having easy access to your whole pay cheque at once can do wonders for your savings! – Go card free. If carrying your credit card around with you makes it too easy to impulse buy, leave your cards at home. Carry a set amount of cash with you and it’ll be much harder to overspend. Forget dining out. You’ll get poor. – Trymeal planning. Are you guilty of food shopping (hungry) every evening after work? Put a little extra effort in and plan your meals ahead for the week. This will help to stop impulse buys, and also mean that you can get better prices for buying products in bulk, along with helping to cut down on waste. – Going hand in hand with meal planning is making a packed lunch. Realistically I spend $100 per day on lunch and snacks, so by bringing in leftovers to the office or by preparing a quick salad, you can reduce that spending by half. – Lastly, let go of FOMO. You may not be able to afford every brunch or junk invitation that comes along, but that’s okay. Accept that sometimes you’re going to have to miss out if you want to cut back on spending, so stop wishing you were elsewhere and embrace JOMO! – Take the Star Ferry or the tram, not a taxi or the MTR. It may take a little longer, but an adult fare on the tram is only $2.30, compared to the cost of the MTR, which will be at least double this. Alternatively, you can buy monthly MTR passes, which can work out cheaper in the long run, depending on your route. – Can’t cook? Or just don’t have the time? Try eating at local restaurants. Hong Kong has so many good for value options, from Dai Pai Dong’s and cooked food centres, to Cha Cha Teng’s, where a dinner here should only be about $70 per person. – When shopping at supermarkets, keep an eye out for reduced items. There’s no shame in it! Big names like Marks and Spencer mark down many products daily that are going out of date, so try going near to closing time to get your hands on reduced fresh produce, such as salads, meats and dairy. – DIY! More often than not laziness gets the better of us, but we’re often paying a premium for the convenience of buying pre-made products, which can be super easy to make yourself. Love hummus? Don’t pay $50 for a tub from the supermarket, but buy a can of chickpeas for $10, blend it with olive oil, lemon, spices and garlic and you’ll have a tasty alternative in no time. – Buy pots of herbs, or grow your own instead of buying small packs that go to waste. It’s easy to keep small pots of herbs (no matter how tiny your space!). Having them on hand makes it easy to jazz up a simple meal, and avoids having to pay more for small packs, which will more often than not go to waste. – Buy fresh produce from local and wet markets. The prices will be much lower than at supermarket chains and often the produce is much fresher, as it will normally be from local sources, meaning you’ll be buying seasonal produce that hasn’t been imported. – Buy frozen meat and fish, rather than fresh. A lot of the fresh meat in Hong Kong supermarkets is imported and often been previously frozen. Check out the labels on any fresh produce and look for the small print saying that the product has previously been frozen. You’ll probably find that this is the case frequently, so cut out the middleman and buy frozen, which is likely to be cheaper. – Get a filter for your tap, or buy a filtered water jug to keep in the fridge, rather than buying bottled water. It’s better for the environment and will save you so much. Simply pick up a Brita jug for $249 from Wing On and never spend $20 on a bottle of Evian again. – Try going meat free one or two days a week. Meat comes with a price, so by consciously cutting down on it, you’re sure to save $$$. – Save on pricey gym memberships and try one of these free workouts or go hiking. Gyms in Hong Kong are expensive, with prices starting from around $600 per month, and only going up from there! With plenty of free options, such as running groups and yoga classes, do a little research and ditch the pricey memberships. – Make the most of deals. Hong Kong has an abundance of happy hours, so make the most of them and you’ll never have to pay full price for a drink again. – Alternatively, buy a bottle of wine, invite some friends over and stay in. We’re pretty fond of a Tesco Finest Malbec which is now available at U-Select stores for just $69 – pretty reasonable compared with the average drinks prices in the city. 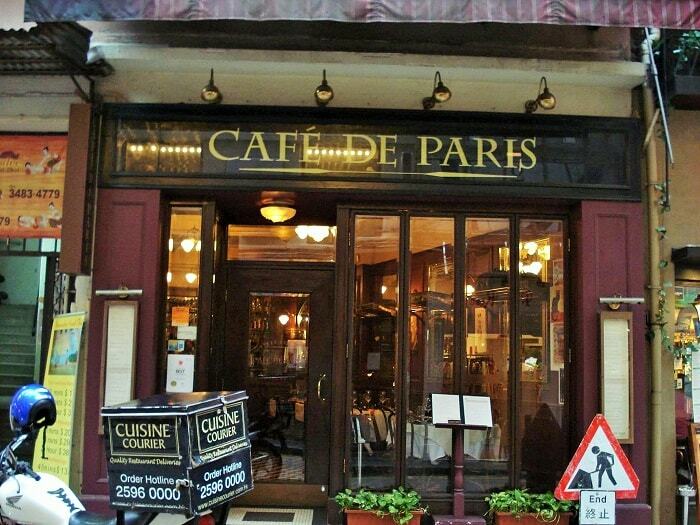 – Along with happy hours, there are also loads of dinner deals around town. Take advantage of offers like Super Mondays, for buy-one-get-one meals at some of our fave restaurants. Follow these tips and you’ll survive Hong Kong with still lot of cash with you! HOng kong kota besar yang menjadi impian setiap orang untuk pergi melawatnya...terima kasih kerana berkongsi tips bagaimana untuk berjimat cermat ketika disana. Sis dah peegi HK beberapa kali..tapi lama dah. Baru ni cousin sis pergi..katanya barangan dan makanan dah mahal2 disana. Thank you for visiting Hanny! 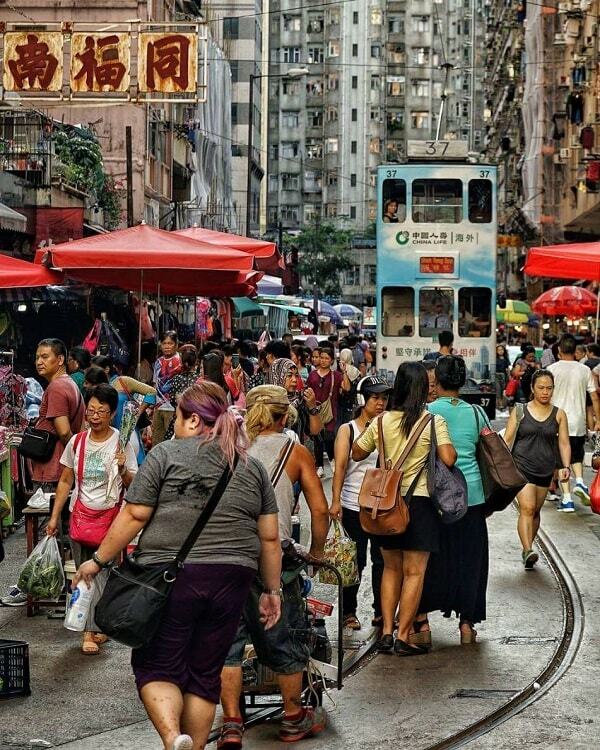 This is a really helpful article for anyone who plans to visit Hong Kong. You provided some really useful tips and hacks! Thank you Elizabeth for visiting! These are such good tips! I live in an area close to Seattle where prices for everyday items have risen so much that a trip to the market makes me sooo sad. It's been inspiring to make budgets, track spending with apps like Mint, and also do more thrifting and figuring out what you really need vs. what you just want. I believe that if we really want to be thrifty, we can do it. There are many ways that we can save, we just overlooked them. Love your tips, Hong Kong can be so expensive! Had no idea how cheap the ferry and the tram can be! I know right?! But because we are always into convenience and fast services, we tend to spend on taxis and renting cars which are expensive. Done brilliant ways addressing how to save money on visit to Hong Kong. I have visited the city and yes it is expensive so the tips you have provided are great money saver. Excluding a credit card definitely a good way to keep in budget. Thanks for sharing such a useful post. You're welcome! Which part of Hong Kong is your favorite place? You have some awesome saving tips. While I don't see myself visiting Hong Kong in the near future I have a problems with saving right here in my own city. I will try some of your suggestions and see how they go. I love the pictures especially of the city at night and the double buses. These tips are applicable in any city! But would be more fun and challenging when applied to expensive cities. Which city are you now? So many of the points apply to everyday life, not just expensive city living! Thanks for all the great tips and ideas! I wouldn't know where to begin when traveling to Hong Kong. Thanks for all the great tips, it's so helpful to have tips for traveling! Great tips! I like the pack a lunch idea. Sounds like HK is just as expensive as NYC! Thank you for this hacks! It will be really useful for those who plan to go Hong Kong. I have not been travel too Hong Kong though, it looks like an exciting country to visit. 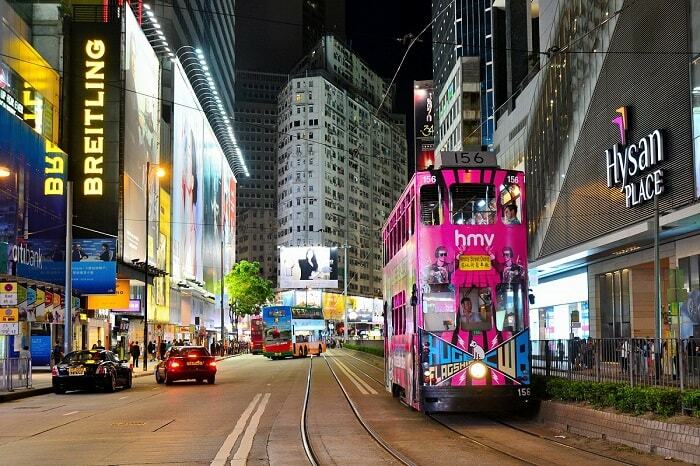 I have never been to HK before and it's nice to know what I can do to save money when I go. It's such a fun place, especially if you love shopping! There are so many second-hand thrift shops in Hong Kong! Thank you for these tips. We will be in HK for a couple of weeks and I would have to agree that MTR fares is a bit higher. Will checkout monthly passes instead. Hope you enjoy Hong Kong! PS. weather is changing to bring an raincoat! Thanks for this great and informative tips while in Hong Kong, will definitely do this when we visit Hong Kong again. My first thought was like why you want to save in HK. But this article is great, thank You! Great blog post. These are such good tips! 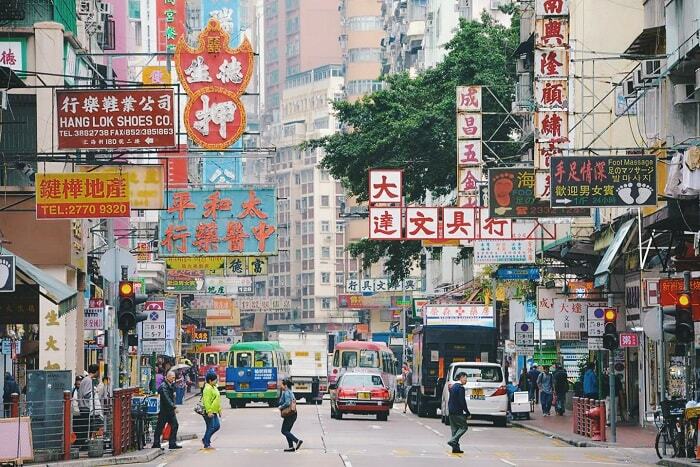 This is a really helpful article for anyone who plans to visit Hong Kong. Thank you for appreciating Olga. Hope you visit Hong Kong soon! I have never been to hong kong but if I ever do I'll be sure to keep these tips in mind. Who doesn't love saving a few bucks. Oh that's wonderful! Hope you are enjoying Hong Kong! These are all certainly great money saving tips Blair. I remember being in Hong Kong a long time ago and yes it was so expensive there. Letting go of FOMO is definitely one of the hardest things to do when I travel. But like you said we do need to think wisely about how we spend money don't we? One thing that we did was to not have any actual credit cards. We keep most of our money in a PayPal account with a debit card, so that we do not spend past our means. Lots of great tips in this post! Thx. Yeah, in addition is get an Alipay account! Such a nice post! Going without card and just carrying money are good to stop overspending. Also, I love your tips for trying meal planning. I probably cannot stay away from meat for a day or two, but still can use other tips. In times like this, we will be surprised how creative we become in terms of saving! Hong Kong would be such a cool place to visit. I love all of your tips! I have always wanted to visit Hong Kong. This is some very great information! Hong Kong is on my travel bucket list! I will have to keep all these tips in mind for when we finally make the trip happen! Thanks for all the great tips. Budgeting is definitely a great way to get more out of traveling. I will share more tips for other cities, soon! This is an excellent post with some really useful tips or money saving. Also buying non perishable items in bulk saves money too that is if you have space for the storage. Yes, having a decent food storage is a must in HK. Some really great tips here! I have friends who have just come back from HK and they said it was unbelievable. Most travelers are in a rush to spend money because of the limited time they have but us budget travelers know the ins and outs. Great post! Thank you dear! Have you been to Hong Kong? 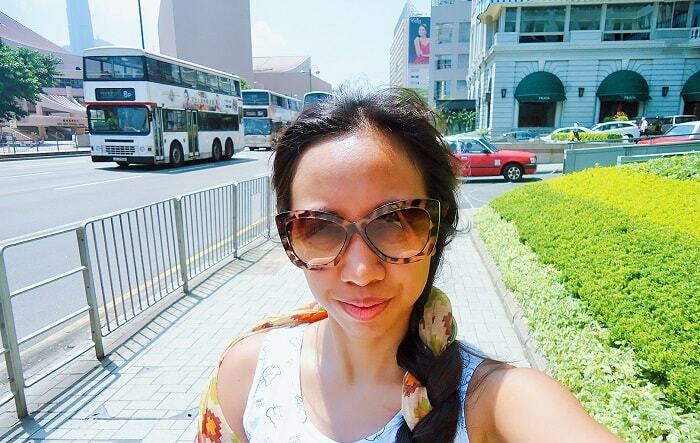 Wow I hoped I ran into your blog before going to hongkong, I find everything expensive when I went there. Thanks for your tips. I agree. Oh if you love entertainment there are so many free shows in Hong Kong! You just have to be diligent on checking them. Thank you Claire! These hacks are also works in any expensive cities. Thank you for visiting Denni! What perfect timing! My friend is actually going to HK in two days and I know she is a bit strapped for cash, so these tips will help her money go a long way. Hope she will enjoy her HK trip! Great Post, while visiting places budgeting is a crucial part of the whole process and getting to know the place before hand makes it more easier. Thanks for the great tips provided to survive in HK, hv not come but my wife has visited HK a couple of times. Thanks will share it with her. Thank you! Hope you visit Hong Kong as well with your wifey! Well, that was an interesting post. Some of those hacks would apply to other places as well. It's good that I stumbled across your post. I am definitely down with saving some money. Travel can get expensive and so saving however you can is so great! That is true, and thanks for visiting Becca! Small local food restaurants. that is something I would love to experience in HK. I have been in HK restaurants in Canada, advised by a friend and I love it. 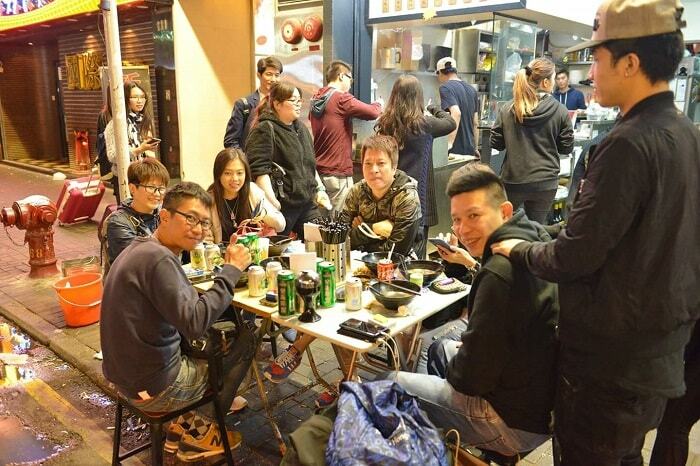 You should try the small scale restaurants in HK even the street food vendors. great post! thank you for sharing these wonderful tips. saving money while away is always a big plus! That is right! There is no point of splurging if you can save. Great money saving tips! I am planning to visit hong kong in the future so I am saving this in Pinterest. That's a really good selection of tips. I think the best one is making a spreadsheet with your expenses. Once you are aware of how much money you spend on certain things it's so much easier to stop doing it! Carrying only cash is a good one too! Used to do that a lot. Thank you for visiting and for appreciating Daniel! Great ideas! Though between my husband and myself, I think we have 8 credit cards, we didn't get to use any of them in HK. It's about self control. The cards were just reserved for emergencies. It is good to have friends overseas where you want to visit, coz you will save more on travels! You have given valuable tips to save money. Taking ferry and avoiding taxi is the biggest money savior while traveling. Thanks for sharing! I agree, and more walking! These are really good tips! 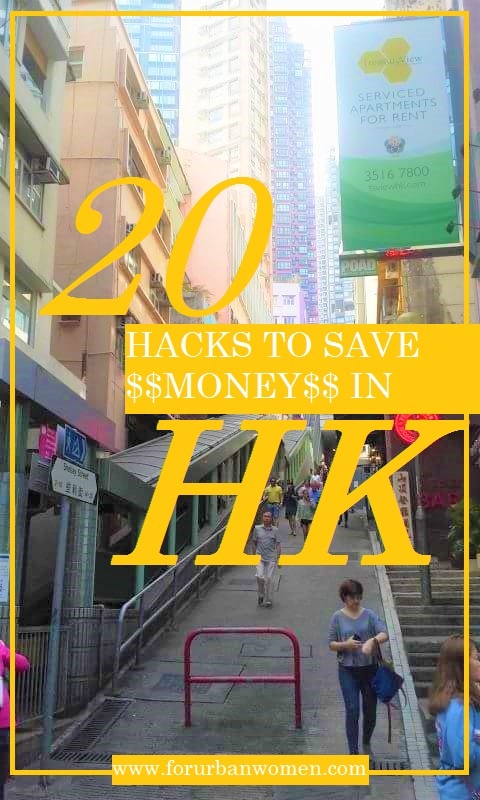 We're planning to travel to Hongkong this year, these hacks will come in handy! Hope you will enjoy Hong Kong! As you said, life in the city is expensive. 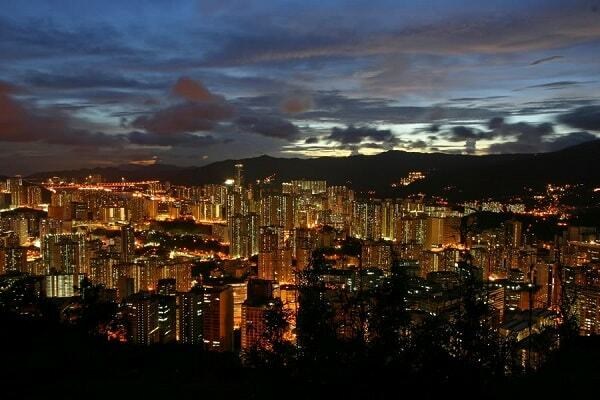 Your hacks for cheaper life in Hong Kong can be applied to other metropolises. Thanks a lot! Try to be local and not act as very tourist so you can save a lot. HK looks like such an interesting place to visit! I love all of your tips and tricks too! Hongkong is indeed costly. While many other Asian countries are very economical, Hongkong, Japan and Singapore seem to have gone very very costly! Thanks for all the tips & tricks. The taxi costs totally blow my mind. Yeah it is getting more and more expensive. There are only few food stalls exists because of hefty priced rent.